After heart surgery around a third of people has atrial fibrillation, an abnormal heart rhythm, which impedes their recovery and lengthens hospital stay. Colchicine treatment could reduce this complication by about a third. About 11 people would need this treatment to prevent one of them developing atrial fibrillation. Using amiodarone, an alternative drug commonly used in this situation, other research shows that about seven people would be treated to prevent one person suffering fibrillation. Colchicine is a drug licensed for the treatment of gout that combines both anti-inflammatory and heart rate control properties. As an older drug, it might be a cheaper alternative and could be safer. Further study needs to clarify which patient groups could benefit from colchicine, how it compares against current treatments and which dose strikes the best balance between efficacy and side effects. Atrial fibrillation is common following heart surgery, affecting approximately 25-40% of people having coronary artery bypass surgery, and 50-60% of people requiring valve surgery. Untreated, it increases the risk of complications such as stroke and mortality. Substantial healthcare resources are devoted to detection and treatment of the condition. Post-operative atrial fibrillation is thought to be partly due to inflammation of the heart muscle. Colchicine is a powerful anti-inflammatory possibly with additional effects which may suppress abnormal heart rhythms and has been suggested as a potential option by recent US guidelines. However, it is associated with gastrointestinal side effects. Previous meta-analyses have given mixed results, probably because they have investigated different procedures, outcomes and assessment times. This study aimed to clarify the effects of colchicine by focusing on one outcome in one timeframe – atrial fibrillation occurring soon after open heart surgery. This systematic review and meta-analyses included five randomised controlled trials comparing colchicine with placebo or no treatment in 1,412 patients having coronary artery bypass graft or valve surgery. Two studies came from Italy and one each from Iran, Jordan, and Brazil. All studies used the same colchicine maintenance dose of 0.5mg twice daily, but differed regarding starting dose, start time (three days before to three days after surgery) and duration of use (one week to one month). Atrial fibrillation was assessed until the point of discharge in three studies and up to three months in one study. Authors used a statistical approach to account for these differences. Three studies had a possible bias because the method of group allocation was unclear and the participants and assessors were aware of the treatment. Colchicine reduced the incidence of atrial fibrillation early after cardiac surgery by 30% compared with placebo or usual care (18% vs 27%, relative risk [RR] 0.69, 95% confidence interval [CI] 0.57 to 0.84). The direction of results was similar across all five studies giving confidence in the pooled finding. Based on four trials (1,196 people), colchicine increased the risk of any adverse drug related-effect by more than two-fold compared with control (21% vs 8.2%, RR 2.53, 95% CI 1.62 to 3.93). Consistent with known side effects, this was mostly gastrointestinal intolerance. There was no evidence that colchicine influenced the risk of major adverse events of death or stroke (3.2% of each group, RR 0.96, 95% CI 0.48 to 1.95; four studies). Colchicine decreased the length of stay by 1.2 days (95% CI -1.89 to -0.44 days; three studies). NICE (2014) recommends that patients having heart surgery are offered drug treatment with amiodarone, a beta-blocker or calcium-channel blocker to reduce the risk of atrial fibrillation developing. The European Society of Cardiology guideline for the management of atrial fibrillation primarily recommends beta blockers to prevent post-operative atrial fibrillation, though amiodarone is listed as another option. Neither guideline gives any recommendation on the use of colchicine. The European Society of Cardiology mentions that small trials have investigated its use but did not demonstrate clear benefits. Patients who develop atrial fibrillation require anticoagulation and rate control, with treatment to convert any abnormal rhythm to a normal rhythm if they are symptomatic. 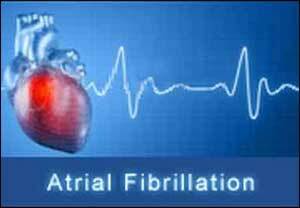 Colchicine may be an alternative option to prevent post-operative atrial fibrillation. However, there is still a limited body of evidence and some unanswered questions, particularly how it compares in effect or risk profile with other recommended drugs. The specific populations that might benefit most from colchicine need to be identified. The optimal dosing or duration of use is also unclear. Minimising side effects would vastly improve the desirability of colchicine for widespread use. Past research suggested a reduced dosage may achieve this without compromising efficacy, but this needs further investigation. Ongoing studies may give a better indication of its possible place in care. This article was first published in NIHR Signals.